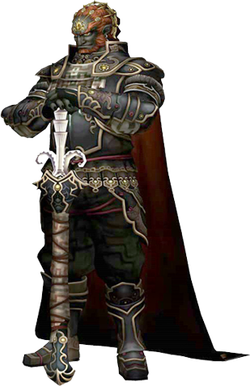 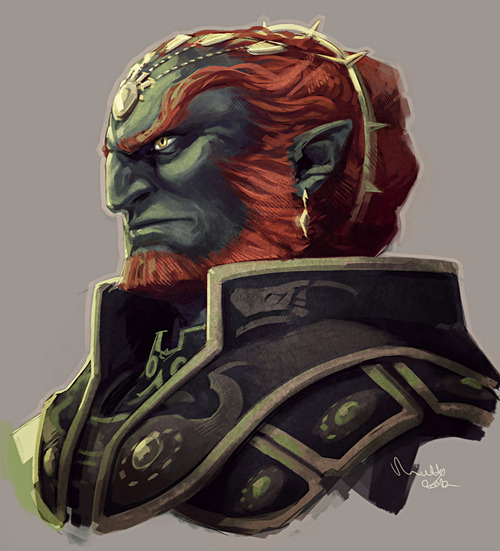 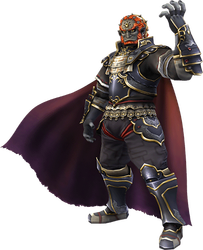 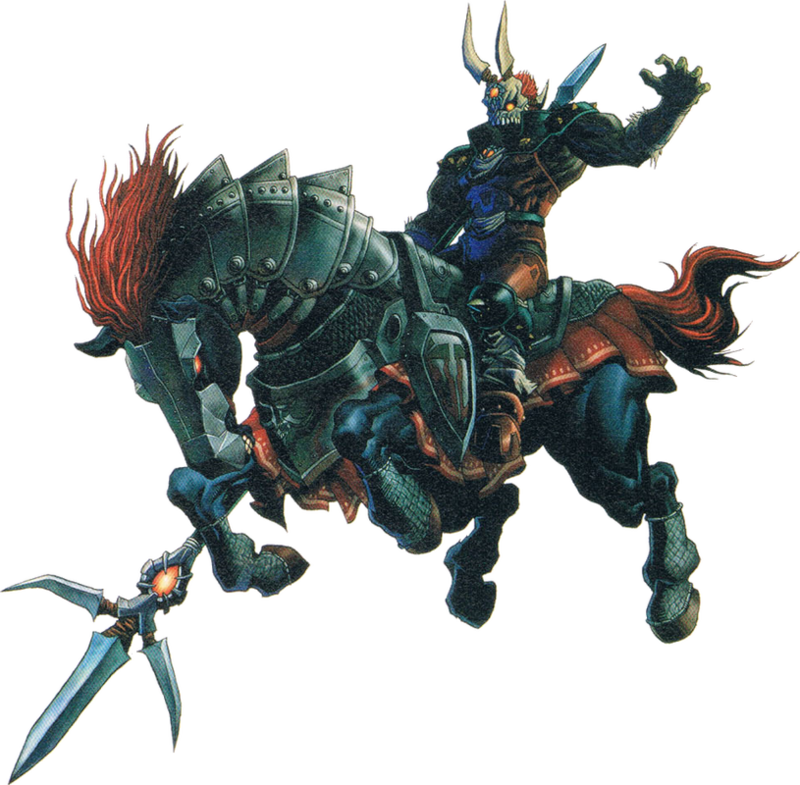 Ganondorf is part of a race called the Gerudo. 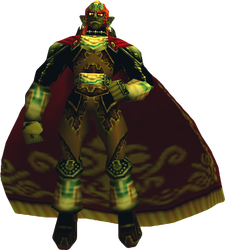 The tribe consists of woman, and since a male is born into the tribe once every thousand years, the instantly make him cheif of the Gerudo. 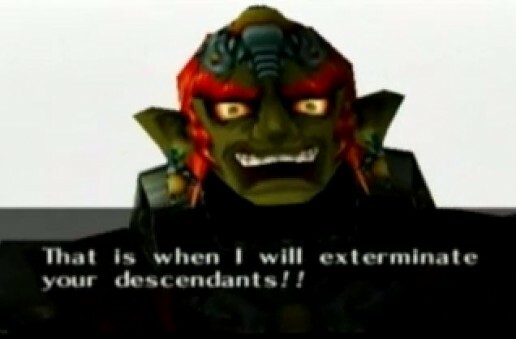 But alas, Ganondorf wanted more than to rule a tribe of his friends and family. 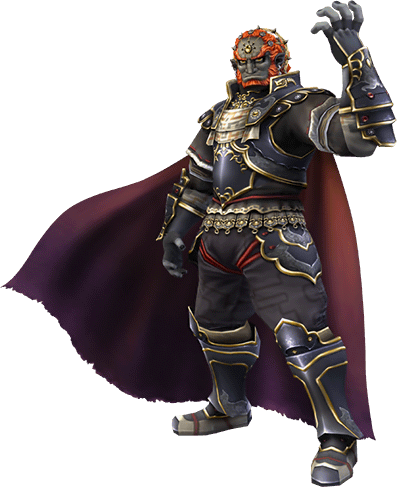 So, he once he first looked upon the glorious kingdom of Hyrule and they rest of the world, he decided to conquer the areas around him first, where his empire will grow until the whole world is his. 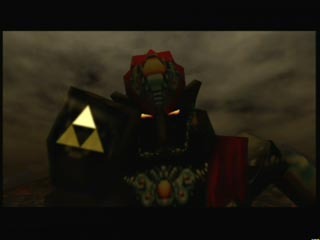 However, he only had the Triforce of Power in his grasp. 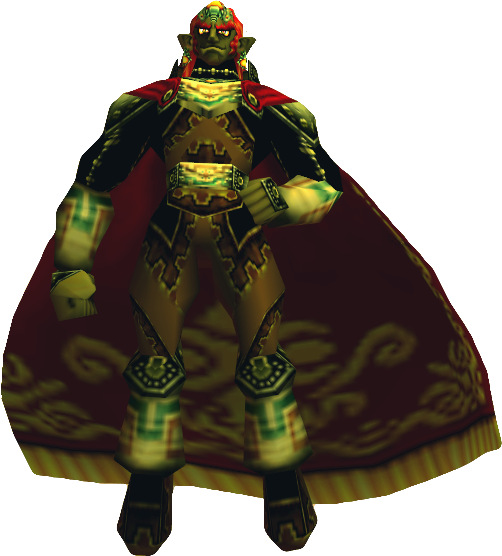 To make his wish become a reality, he needed the complete Triforce, thus his intentions for kidnapping the Bearer of the Triforce of Wisdom. 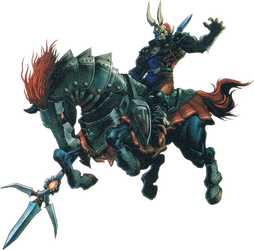 Nevertheless, a hero, chosen by the gods, bearer of the Triforce of Courage, and wielder of the Blade of Evil's Bane, had risen up from his old ways and defeated the King of Darkness, causing his reign to fall. 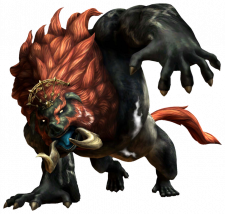 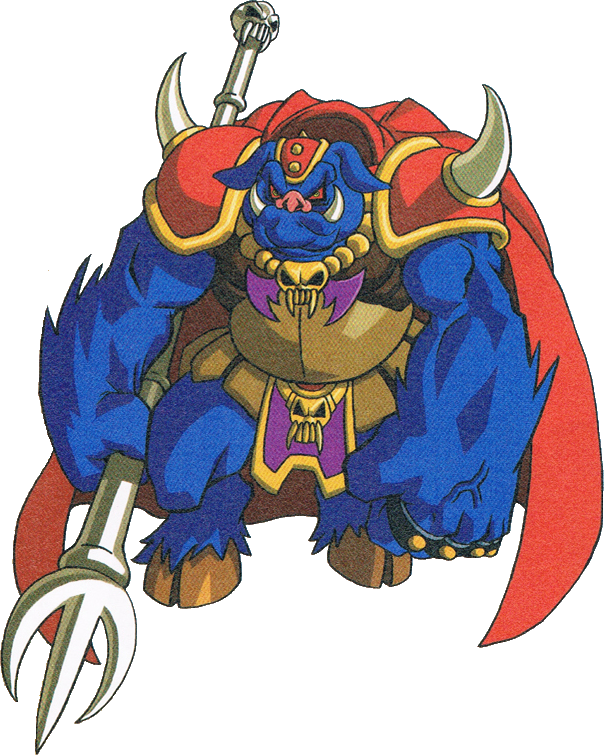 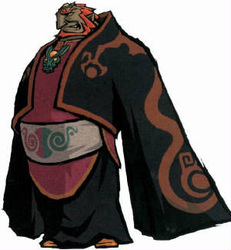 When he is overtaken by his greed and lust for power, he turns into a mindless monstar called Ganon. 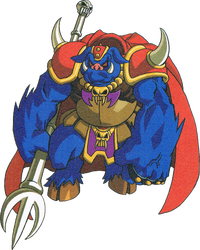 He had resided in the Dark World for some time, but alas, he had broken free of the seal and had wrecked havoc once again.